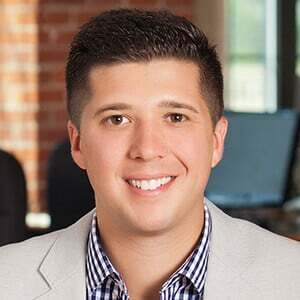 Effective execution management systems provide adaptive solutions that help traders play a valuable role in the investment process by alerting traders to situations where action is most likely to be profitable. Such situations tend to arise when the data streams are most surprising. This requires prediction models in EMS solutions to enable one to determine what is surprising. Short-term volume prediction can help identify market surprises at an early stage. Since volume curves are too simplistic for intelligent decision support and volume and volatility are related, we looked at volatility models for inspiration using a Hawkes process. FactSet’s Trading Solutions team has developed a set of event-aware forecasting tools to handle the more challenging execution optimization problems. 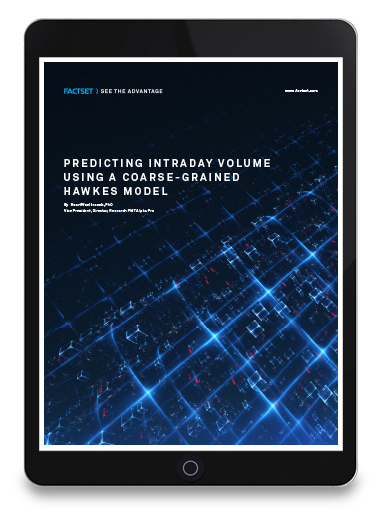 In this white paper, Predicting Intraday Volume Using a Coarse-Grain Hawkes Model, we examine an application of a Hawkes model in forecasting intraday market volume fluctuations in U.S. equity markets. The performance of the model outlined in this white paper compares favorably to several benchmarks, including volume curves often used in the industry and conventional time-series prediction models. The Log-Hawkes model outperformed traditional volume curves by almost 50% in out-of-sample tests in both liquid and illiquid names, and outperforms a stock-specific ARMA model by about 10%. Complete the form to download your free copy of our white paper, Predicting Intraday Volume Using a Coarse-Grain Hawkes Model.